Visit Ely and take a tour of Listening Point, sign up for our newsletter, find out about upcoming events, and more! Join our community of wilderness inspired enthusiasts who have been touched by the life and work of Sigurd F. Olson. Located in Ely, Minnesota, we are the Sigurd F. Olson legacy organization. Founded in 1998, Listening Point Foundation is a 501(c)(3) nonprofit that works to keep Sig’s legacy and wilderness philosophy alive in the world today. Sigurd Olson (1899-1982) was a well-known environmentalist, award-winning conservation activist, and best-selling author. Though he lived in Ely, Minnesota and took numerous trips within the Quetico-Superior wilderness, he traveled widely and influenced the creation and preservation of natural areas across the country. Learn more about Sigurd Olson here. Sigurd Olson created Listening Point in 1956 as a private retreat on the shores of Burntside Lake. It became widely known and celebrated after Alfred Knopf published Olson’s book, “Listening Point” in 1958. Learn more about Listening Point and how to visit here. Founded in 1998 by Sig’s younger son, Robert K. Olson, the Listening Point Foundation continues to promote Sigurd F. Olson’s legacy. 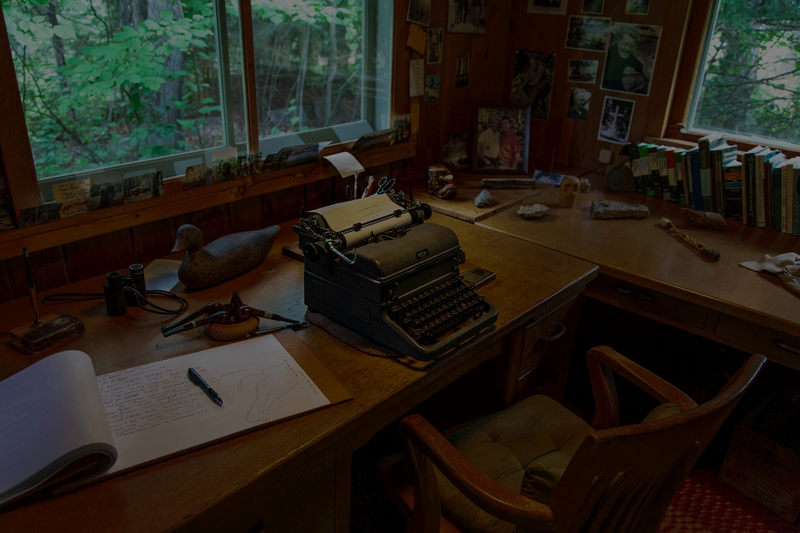 Located in Ely, MN, the Foundation headquarters in the Olson family homestead, and continues to preserve Sig’s Writing Shack and the Listening Point property, along with providing educational tours and opportunities to the community. Learn more about the Listening Point Foundation here. If we can move into an open horizon where we can live in our modern world with the ancient dreams that have always stirred us, then our work will have been done. The movement of a canoe is like a reed in the wind. Silence is part of it, and the sounds of lapping water, bird songs, and wind in the trees. It is part of the medium through which it floats, the sky, the water, the shores. When one finally arrives at the point where schedules are forgotten, and becomes immersed in ancient rhythms, one begins to live. Silence is one of the most important parts of a wilderness experience; without it the land is nothing more than rocks, trees, and water. Beautiful country, unspoiled country today is something sacred. It is so easy to rob a wilderness of its charm, so hard to bring it back. We should preserve our silent sanctuaries, for in them we perpetuate the eternal perspectives. The solution to man’s probing and puzzlement is really as simple as sitting outdoors and looking at a sunset, feeding squirrels and chickadees, or caring for trees and flowers. Joys come from simple and natural things, mists over meadows, sunlight on leaves, the path of the moon over water. The same sun shines everywhere and the same moon and the wind. One place is as wild as the other and as beautiful if one can only see with eyes that understand. If you lose the power of wonder, you grow old, no matter how old you are. If you have the power of wonder, you are forever young—the whole world is pristine and new and exciting. Unplanned contemplation comes softly as falling mist, or the first snows of autumn. We cannot all live in the wilderness, or even close to it, but we can, no matter where we spend our lives, remember the background which shaped this sense of the eternal rhythm, remember that days, no matter how frenzied their pace, can be calm and unhurried. 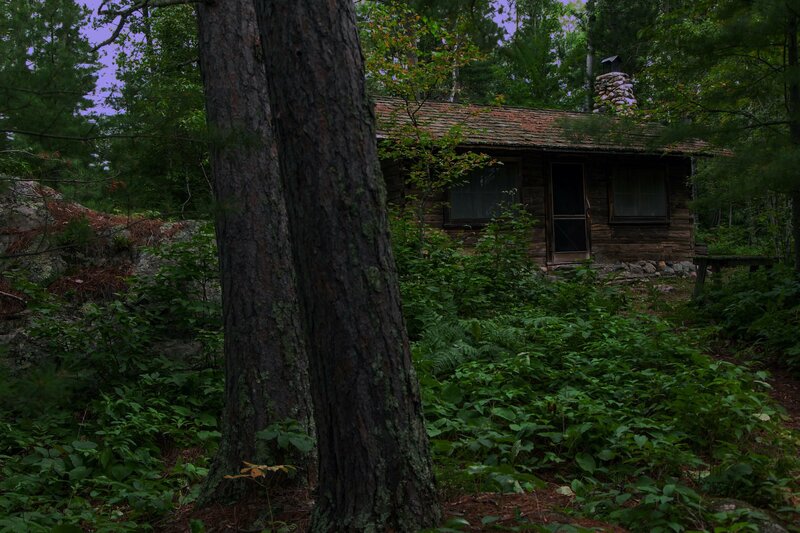 To preserving Listening Point and advancing Sigurd Olson's legacy of wilderness education. Listening Point Foundation works to create strong connections with our community and supporters near and far. 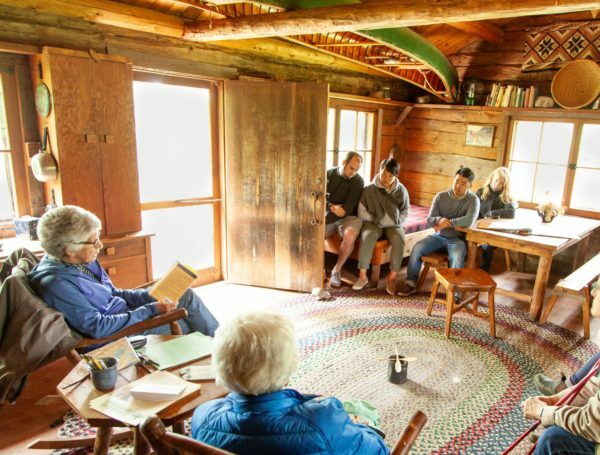 Our volunteer tour guides take visitors to Ely out in all seasons to experience the coziness of the Olson family home, the historic Writing Shack, and the wonder and beauty of Listening Point. 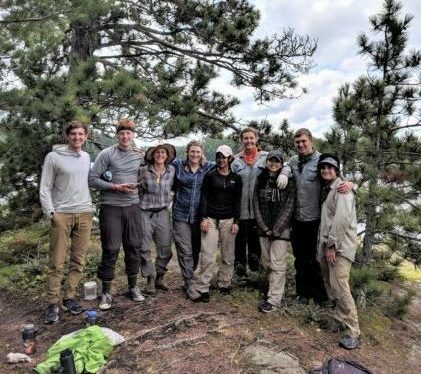 Here in Ely, we now offer annual scholarships to the local high school and community college, and enjoy welcoming teachers and student groups to guided tours that explore Sig's national impact on wilderness preservation in Minnesota and across North America. We are working hard to create a sustainable financial future for the Listening Point Foundation. Your donation helps us keep the mission alive and the Foundation moving forward. You can also make a lasting impression by donating a brick to our patio engraved with a message of your choice. Learn more by clicking below! Sorry, there is no event under your selected page. Tour guiding, service projects, building maintenance, garden tending, office organization, event volunteering, and so much more! Giving their time, efforts, and energy, Listening Point Foundation volunteers are an important and cherished part of our organization. Learn more about what is going on in our community and how to volunteer! We love the quiet of Listening Point. We heard a pileated woodpecker, and then saw it fly by. The landscape and the soundscape are just what we need to fortify ourselves before going back to everyday life. What a great tour, with all the personal history and insights! Thank you so much for making the area come alive. We got many interesting pictures, even if only with our phones! But in our minds’ eye and memories, we carry so much more away from here. Amazing visit and it was full of inspiration for a young naturalist! So great to see other folks still talking about Sig. Thank you for sharing this beautiful place with us. Thank you, Listening Point Foundation and Patsy! It was just wonderful to finally get out here and see Sig’s property. The breeze, the quiet, the joy – Thank you. First time here, first time in MN. Beautiful and inspiring. I love the sound of the winds in the pine trees. Now we know why we are here! Thank you for the legacy and preserving this important time & place in history. So peaceful, one cannot help but listen! Thank you Phil & Listening Point Foundation for preserving Sigurd’s legacy. May his memory continue to inspire us to preserve and protect the natural world because once it’s gone it’s gone. Listening Point is that type of place to listen, understand, and perhaps be moved to experience the awe and reverence of the natural world. Here at last! Thank you Alanna for the tour. Precious place, preserved for all to be aware of our natural world. This is awesome. Each trip here is inspiring…a journey for refreshing the spirit…a time for learning. The Wilderness Field Station’s “Conservation in the Wild” course has studied Sigurd Olson’s work on conservation, but seeing how he lived his life has made his words come alive. Thank you for this experience! This place is inspiring. There is something to be said for those things still wild. Once again it is wonderful being here at Listening Point. We feel Sig and Elizabeth here with us. I pulled the book Listening Point off my parents’ bookshelf in about 1968, and it set me on a course to become a streams fish ecologist and to write For the Love of Rivers which won the Sigurd Olson Nature Writing Award. This place provided the inspiration for that touchstone for my entire life. May places like this be ever kept. Can’t wait to pick up one of Sig’s books. Coming to Listening Point touched my soul.